Kathy Pham is an Adjunct Lecturer and Senior Fellow with digital HKS at the Harvard Kennedy School. Hannah Masuga was the inaugural Product Management and Society Course Assistant and MPP 2019 candidate. Product management is one of the most popular career choices among students looking to enter the technology industry. While businesses have recognized the critical role product managers play in generating revenue, shaping software development, and delighting customers, much less attention has been paid to the impact products have on broader functioning of society. Conversely, technology projects within government have often failed due to lack of product thinking and user design. The host of unintended consequences and crises that have emerged this year alone proves the current approach to product management is inadequate and the public and private sectors have much to learn from each other. Product management needs to put social context, ethics, user experience design, and community focus at the center of the discipline. As a step toward addressing this growing need, with support from digital HKS, we launched Product and Society, as well as a new class at the Harvard Kennedy School called Product Management and Society: Building Technology in Government and Beyond. 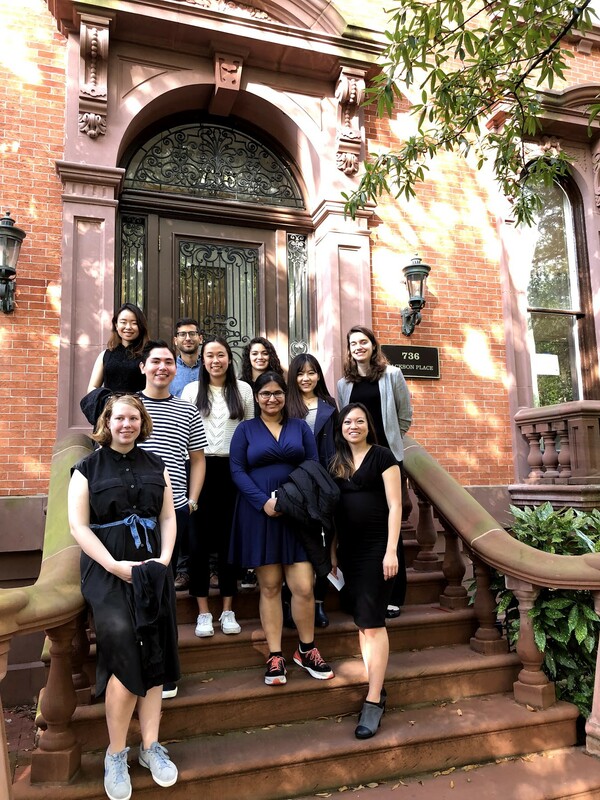 The inaugural class complements many of the digital and technology related classes across Harvard University and it attracted a variety of students, including the Graduate School of Design, the Business School, Harvard College, and MIT Sloan. The class was also a complement to the highly sought after Product Management 101 and 102 taught by Julia Austin at the Harvard Business School. Our goal was to not only create a baseline of familiarity with core product management concepts, but also introduce students to recent ethical concerns that practitioners have encountered. In order to achieve this, we invited a number of private and public sector practitioners to speak to the class about their experiences. We have included details of the class below in hopes that it seeds broader development in the field. You can also find more details on the full syllabus. We only ask that you attribute if you reuse material. Please reach out if you have questions or ideas. We look forward to a broader discussion on how product management can broaden its understanding. Delivering critical services to the public requires building technology that works for people. In environments like the public, non-profit, and mission-oriented private sectors, this is can be a challenge, but it is possible and necessary to build thriving societies. This course will focus on the role of the product manager in leading cross-functional teams across engineering, design, users, policy, marketing, analytics, vendors, and stakeholders when building technology products. Students will learn how to think like a product manager and how to partner with product managers. Students will learn how product managers set strategy, define products, advocate for the user, manage stakeholders, and understand market or policy factors in order to ship technology services and products that benefit people. No experience in software, product management, or design necessary. Intended for those interested in understanding the critical role of a product manager to build technology services in the public, non-profit, or in mission-oriented private sector. Class #1: What is Product Management [and Society]? Product management is defined differently throughout the tech industry. This class will focus on the field of product management, its history across, and why this role is critical in delivering technology. An important part of building a successful product is understanding the landscape — the problem, the stakeholders, the users. This requires understanding how to gather the information in a short period of time, usually one to two weeks of discovery. This class will walk you through starting a product with a successful discovery sprint. There are many keywords that describe the process in which software is built. This class will go through some of the most common terms, what they mean, and how in many ways they don’t matter. Content is one of the most critical parts of any product. Without content that people understand, a product that took a lot of money, time, and engineering resources to build can be rendered useless. This class will focus on developing a solid content strategy right from the beginning. Understanding what metrics to track is not an easy feat. Tracking the wrong metrics and reporting on incomplete or inaccurate data can lead to product disasters. This class will focus on how to track metrics, and how to use metrics to better understand the people who will use the product. Procurement is the core of how technology gets built in the government and in places that do not have in house technical resources. The procurement process and implementation has also been the source of many failed projects. This class will focus on the role of the product manager throughout procurement to ensure better technology service delivery. User experience and design must be at the core of all products in the public sector. By definition, the public sector serves the public, and it is critical to understand the people we are serving, and then design for them. This class will focus on how to run user experience research, and then how that translates to design of a product. We will also focus on the design parts no one wants to do or think about initially: Accessibility, legal and regulatory compliance, user safety and privacy, and ethical considerations. Understanding and leading testing is a significant part of being a product manager. There are many different types of tests for different phases of a building a product: Unit, functional, user experience, A/B, quality assurance (Q/A), environment, adversarial, and more. Sometimes even with the best intentions, our public service technologies do more harm than good. This class will focus on how to learn and understand the deep dimensions of inequality and the communities we serve, and how to do our best to keep that out of our products. In addition to communication, another key skill for product managers is the ability to foster partnerships. This class will not only focus on partnerships, but we will dive into how to scale to very large projects through partnerships. There are many different tools on the market for product management. This class aims to familiarize you with those tools. We will also discuss how not have allegiance to any particular tool, but understanding a few in detail, is a great asset. Minimum Viable Product: What is it? Should you have an MVP? What does MVP mean in government? Many thanks to Amanda Miklik and Kate Krontiris for their invaluable feedback and input on this syllabus. Kathy Pham and a few Harvard Kennedy School Product Management and Society students visit United States Digital Service Headquarters in Washington D.C. (Annie Donolo, Cody Pan, Jen Chen, Ori Pleban, Sophie Schick, Jessica Nunez, Anushka Siddiqui, Lifan Zhang, Elisa Mansur) Many thanks to digital HKS for making the trip possible.